Activists wrote an open letter to the people of Hamburg today. We publish the open letter. 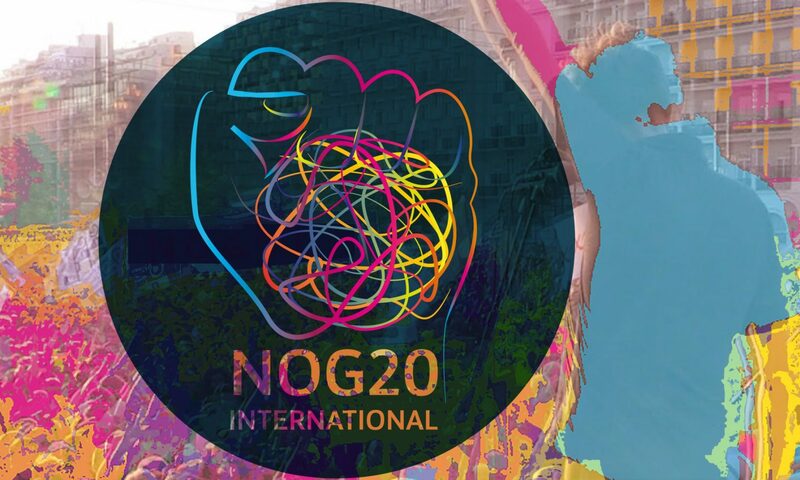 You can read all our NoG20 reports; here. On May 17, 2017 we published the first open letter of NoG20 activists to the people of Hamburg, you can read it here. Over the following days this repressive escalation continued. The police attack on the “Welcome to Hell” demonstration was not just unprovoked, against what was still a peaceful event. It was an attack on the right to assemble freely, on the right to demonstrate, on democracy – just like the many attacks on journalists, are an attack on the freedom of the press. Targeting peaceful protesters and street medics, with batons (often on heads), pepper spray, water cannons and even live ammunition, the police acted as an occupying army, trying to make Hamburg a city of fear and chaos. The summit was imposed on Hamburg and its residents echoing the brutal imposition of G20 policies on unwilling populations all over the world. The world they want to force upon us, whether painted with right wing populism or with straightforward neoliberalism, is a single world of authoritarianism and violence. What we experienced in Hamburg is just a taste of it. Their G20 Summit was a real failure. It was politically bankrupt, revealing an unwillingness and inability to address any of the major challenges of our times: the catastrophic consequences of climate change, the life conditions of millions of people migrating, growing social inequalities and economic chaos. The few decisions taken by the G20 only worsen how these issues are handled, aggravating ecological disasters and many people’s living conditions, and reducing social and civil rights for a large majority of the world’s population. Even the neo-colonial and neoliberal Compact with Africa , mainly initiated and promoted by the German presidency in order to prevent in the long term the increasing migration from Africa to Europe, will most likely only boost the existing rampant corruption. Our ruling classes are responsible for almost all the tragedies of this world. It is important to realise that during those days, the G20 leaders were the most dangerous people in Hamburg. Imposing the G20 Summit on the city of Hamburg was an arrogant attempt to show their power, to terrorise you and all of us by the massive deployment of their militarised apparatus, and to impose a false image of social pacification through the use of brute force. If they won’t dare organize another summit like this in a big European city again, it’s not only because they fear “riots”. It is mainly because we showed that, when we are joyful (with Wednesday’s dance demo or Friday’s Youth against G20), creative (with the 1000 Figures performance), courageous (with Thursday’s “Welcome to Hell” demo), ambitious and determined (with Friday’s blockades), full of alternative ideas (with the “Global solidarity summit”), and lastly many, diverse and united, all marching together in Saturday’s huge “Solidarity without Borders” demo, they can’t stop us! NoG20 activists, Hamburg, August 2017.